Uttar Pradesh CM attacks Mayawati for asking Muslims to vote for the opposition alliance in Uttar Pradesh. 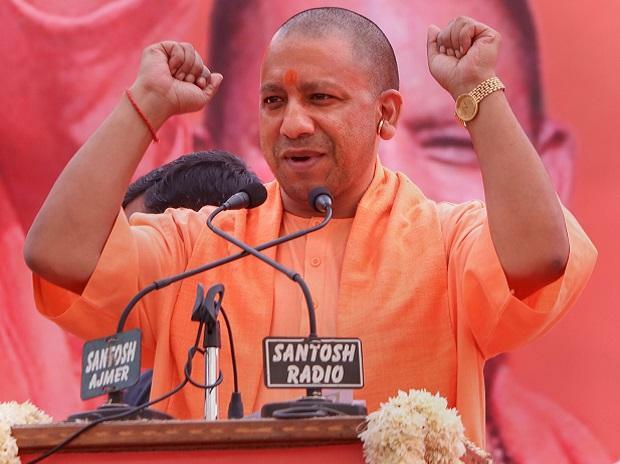 Uttar Pradesh Chief Minister Yogi Adityanath on Tuesday called the Lok Sabha elections a contest between Hindus and Muslims and labeled the Muslim League as “green virus”. Adityanath attacked Bahujan Samaj Party leader Mayawati for asking Muslims to vote for the opposition alliance in Uttar Pradesh, saying the Hindus had “no option” but to vote for the BJP. "Agar Congress, SP, BSP ko Ali par vishwaas hai, toh humein bhi Bajrang Bali par vishwaas hai (If the Congress, the SP and the BSP have faith in Ali, then we too have faith in Bajrang Bali)," said Adityanath, a BJP leader, at an election meeting in Meerut. Ali is a revered figure in Islam and Lord Hanuman is often called Bajrang Bali. Adityanath had used the Ali-Bajrang Bali formulation last year after Congress leader Kamal Nath allegedly said the support of 90 per cent of Muslim voters was needed for the Congress to win the Madhya Pradesh assembly elections. "Mayawati urges Muslims to vote for the coalition, and not split their vote. Now the Hindus have no option but to vote for the BJP," he said. “If the Congress, the SP and the BSP have faith in Ali, then we too have faith in Bajrang Bali. The opposition has acknowledged that the followers of Bajrang Bali will not vote for them,” he said. “The coalition is shouting 'Ali-Ali' on the stage at their rallies. These people want to ruin the country with the collaboration of the 'green virus' of Muslim League. Time has come to eliminate this virus forever," he said. Adityanath said the Samajwadi Party, the BSP and the Congress have concluded that the “followers of Bajrang Bali” will not tolerate them. Adityanath had waded into controversy last week by calling the armed forces "Modiji ke sena", prompting the Election Commission to ask him "to be careful" in his utterances.